Last fall, Bounty on Broad’s horizon wasn’t particularly bright. 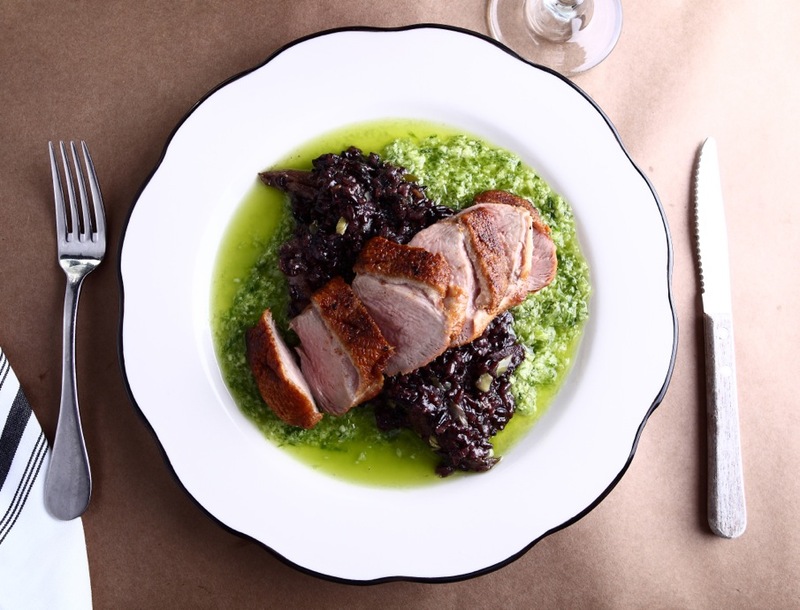 Sales had plateaued just above expenses, and the primary owner of the barely profitable restaurant, Michael Tauer, had decided to move to Boston. One could make a pretty good argument that this is certainly the case for Chip, who was lured back to Memphis from Charleston about a year ago to take over the kitchen at Grove Grill…. 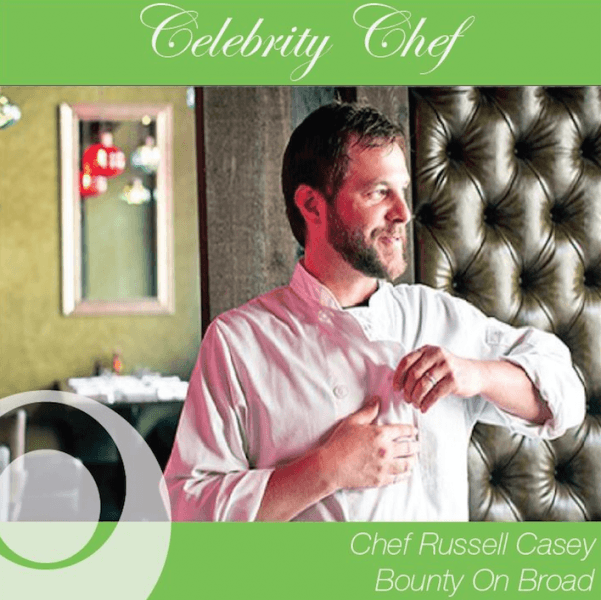 When Bounty on Broad opened in October 2014, it was, for all practical purposes, a restaurant for then-chef Jackson Kramer. In the previous 12 years, he’d been with Wally Joe (the chef and the restaurant), then took over at Interim in that space when Joe left and took his name with him. 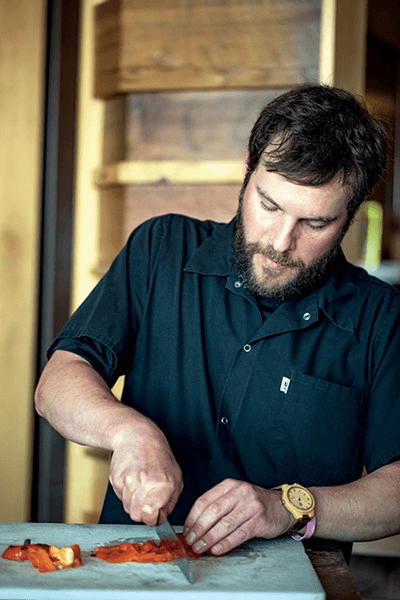 After running the kitchen for four years, he left in 2009 to go to Asheville, North Carolina, returned to Interim in 2011, and stayed until Bounty, thought to be his restaurant home, opened…. We know that cancer care is much more than just your treatment. At West Cancer Center, you have access to comprehensive and individualized wellness and support resources from diagnosis all the way through survivorship…. On a Saturday in November hundreds of people of all ages savored the mild afternoon in a downtown Memphis hangout named Loflin Yard. Set on nearly two acres, there was something for everybody. Families clustered around bonfires in a sprawling yard. Adults lounged in rocking chairs sipping hot apple cider spiked with bourbon…. I feel like I’ve already had Thanksgiving dinner. I tried the braised pork shank, a popular item at Bounty on Broad. 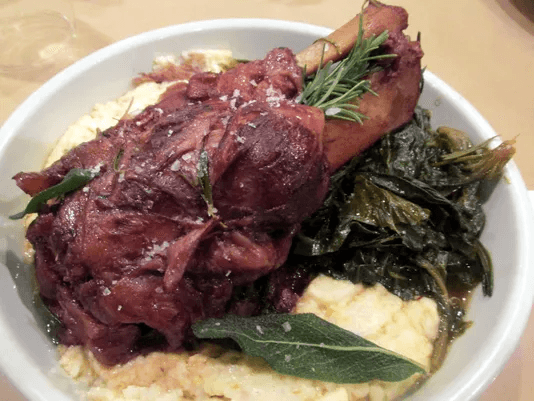 It’s an enormous braised pork shank resting on a bed of greens and grits in a bowl. It’s fabulous. It’s a feast…. Broad Avenue is adding an entire new layer of culture to Memphis—from local art galleries and artisan shops to state-of-the-art boutiques and restaurants. The pinnacle of such a timeless, yet trendsetting, design can be attributed to the brilliance of Chef Jackson Kramer and restaurateur Taylor Berger. 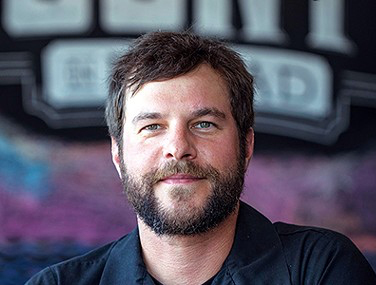 They completely renovated a two-story, 100-year-old dry goods store into one of the most sought-after dining experiences of its kind in Memphis, Bounty on Broad…..
A row of mostly empty storefronts less than a decade ago, Broad Avenue now anchors a revitalized arts district. 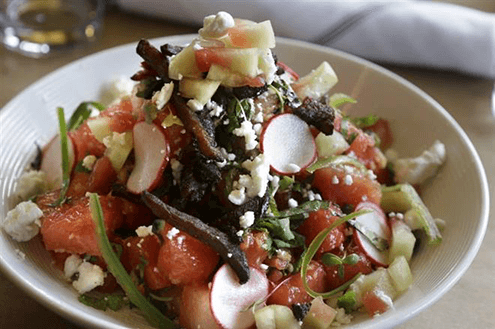 One of its latest additions is chef Jackson Kramer’s field-to-fork restaurant, housed in a two-story building that’s simple but elegant—like Kramer’s food. 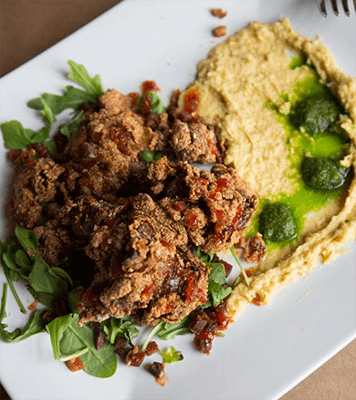 The dishes—creamed kale with fried grits; quail stuffed with cornbread and andouille sausage—are served family-style, so bring friends. Or don’t, and eat as if you did…. When Kunal Jadhav’s mother visited from India, Jadhav, who loves to cook and pal Russell Casey, the executive chef at Bounty on Broad, decided to honor her with a special dinner. 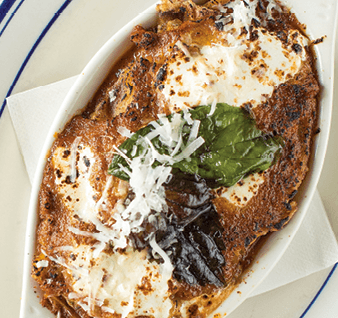 Eggplant lasagna, one of the duo’s collaborative dishes for the event, was exceptional, earning a permanent spot on the restaurant’s regular menu…..